However, it’s still possible to maintain an air of mystery around your music project and still be active on social media if you set that as your intention. There are a few reasons you might want to do this — perhaps your music is electronic or arty, or your band members are unconventionally attractive and adverse to wearing paper bags on their heads. But it’s your choice, and I’m with ya. Here are a few strategies for keeping fans engaged at arm’s length. 1) Use a logo in place of a photo as your main graphic. One of my favorite examples of this is Banks. First off, she uses a one-word moniker for herself instead of using her given name, which separates her from the average singer-songwriter. And then she uses her logo consistently across her singles and EPs. I’ve even tattoos of her logo. This makes her seem more mysterious and important than typical press shots. 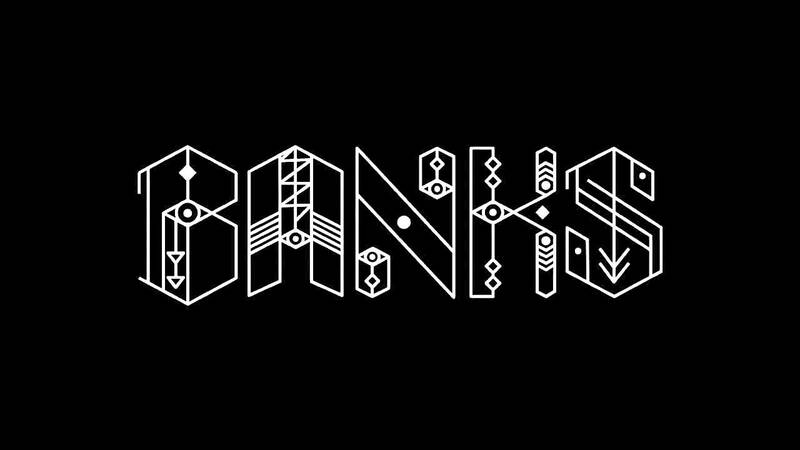 Even when you do see photos of Banks, her face is obscured, either partially cropped out of photos or half-covered by her long hair. 2) Use cryptic teasers as announcements. For Marina & the Diamonds’ latest single release, there were no messages of “We’re in the studio!” or “Excited for my new single!” She simply sent out a graphic with the song title and a time with no further explanation. Fans were left to anticipate that time to find out what “Froot” meant. This increased the impact of the song, gaining it over a million plays within three days. 3) Use minimal text in all you do. If you are a confessional singer-songwriter, you likely write long, warm letters to your fans with every announcement you make because you want to be seen as a kindred spirit. But if you see yourself as more eccentric, you’ll want to use less text. A list of tour dates can be self-explanatory. Your contact page can simply say “For inquiries” rather than listing each relevant role. And you can rely on images as much as possible. Any online presence requires intentionality, but mystery in particular requires a special dedication. You can do it! Just don’t let the paparazzi see you in your sweatpants.